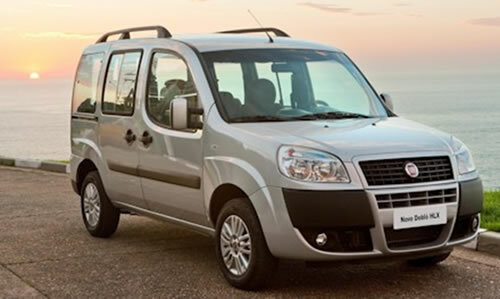 The Fiat Doblo focuses mainly on transporting people. This is a welcome change for many buyers who are fed up with the techno-savvy cars lately that incorporate as many high-tech features into one vehicle as humanly possible, while sacrificing comfort or functionality. The Doblo concentrates on what it is built to do transport people. The Doblo resembles a small van, it was not designed to attract buyers based on its stylish appeal, it was designed to attract buyers based on its merit and functionality. It has strategically been positioned at the budget end of the scale to appeal to buyers in that price range. The car boasts a large load space and sliding rear doors. 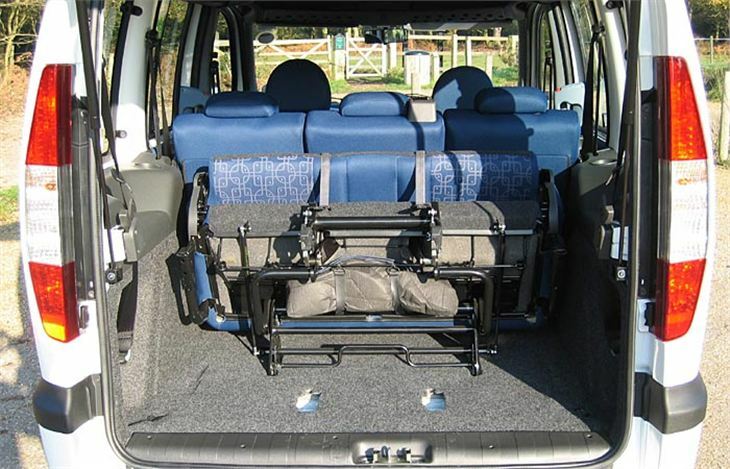 It facilitates easy access to the cabin for most passengers, and a good driving position. The Doblo looks like a small bus, but it drives like a car. The little Fiat provides, direct steering, an excellent braking system, limited roll, and a smooth ride. Fiat offers buyers the attractive option of a diesel engine. This option will deliver buyers even more savings each time they fill up. The Diablo’s modest price reflects Fiat’s intentions of providing the basics and focusing on practicality rather than showmanship. The result is an affordable people carrier with all the elements necessary to provide a smooth and enjoyable ride. The Doblo is an inexpensive car to purchase, but optional add-ons quickly raise the price. The diesel engine option will help to keep fuel costs down and running costs and insurance should be minimal. Resale value should be good with the diesel engine option. The cabin offers good front and back space for passengers including enough head, leg, and elbowroom for most passengers to fit comfortably. The boot offers a large and practical storage area that accommodates most items easily. The main controls and dials are well placed and functional. The controls are very basic and large enough to operate with ease. The car’s trip computer is complex but not too complicated or difficult to use. The Doblo is a very comfortable ride. It offers enough passenger space for everyone to enjoy the ride. Legroom could have been better but is still adequate. The seats are supportive and comfortable, and road and engine noise is successfully kept to a minimal. The Doblo is extremely easy to access. It’s front doors open wide and the seats sit high enough that sliding into them is not a problem for most. The rear doors slide open allowing easy access to the rear seats. The boot has a tailgate that opens wide allowing really good access to the rear cargo area. The load lip is flat which also helps to facilitate access to the boot. The Doblo is an easy car to park. A clear rear view and a rear end that’s straight up and down allow the driver to park with little effort. Large side mirrors and parking sensors also remove any guesswork and help to facilitate safe parking. The diesel option provides better performance and delivers a better all around driving experience. The Doblo drives well both in town and on busy motorways. The steering is weighty but not too heavy and provides plenty of feedback. The car also has an excellent braking system. The Doblo would make a good family car. It is an affordable, comfortable, and dependable mode of transportation. It provides plenty of cabin space for growing children and enough boot space to accommodate various family activities. The sliding rear doors would really come in handy when loading and unloading small children. The Doblo could be a decent first car. It’s an inexpensive purchase with low running and maintenance costs. The diesel version is fuel efficient, and the car is easy to drive and park. Insurance would be reasonable even for a new driver. The Doblo is seen as more of a commercial vehicle, but works equally well as a private vehicle. The car is durable and aesthetically pleasing. It is a budget buy but the over all build quality is good and cabin materials do not come across as cheap. The Doblo will do much to boost the Fiat image. The Doblo is a relatively inexpensive car and is not likely to fall victim to car thieves. The car does not come with an elaborate security system because it is not likely to need one. The Doblo comes with remote central locking. The Doblo comes with twin front airbags, anti-lock brakes, EBD, and offers side airbags as a cost option. The Fiat Doblo comes equipped with a basic stereo unit. It offers good sound quality and controls that are large enough to make operating them a breeze. The car also offers a sat-nav system on the options list. Bright colors work best on the Doblo changing the car’s look from a work car to a fun car. Bright metallic colors not only enhance the Doblo’s exterior but the interior as well where the painted metal design shows through. The cabin’s plastics do not have an expensive look to them, but they do look sturdy and well made. The Diablo is not just a fun car to drive. It’s extremely practical too. It has enough room to accommodate a family and it provides excellent cargo space. Take into account the car’s quality build, affordability and low running costs, and it is hard to understand why anyone wouldn’t at least consider the Doblo as an option.